While noting the investigation into last month’s failure is not complete, Musk told reporters Monday the evidence shows a weakened bracket holding a high-pressure helium vessel inside the Falcon 9’s second stage is the likely culprit. Several helium tanks, each pressurized to about 5,500 pounds per square inch, are mounted inside the rocket’s second stage liquid oxygen tank. The helium is routed through the second stage’s Merlin engine, where the helium warms up and injected into the rocket’s propellant tanks to pressurize the stage as the launcher burns fuel, keeping the tanks structurally sound. Musk said SpaceX engineers analyzing extensive telemetry data from the rocket, along with physical testing on the ground, concluded a support strut holding one of the helium tanks likely fractured near a bolt attach point. The high-pressure helium tank, immersed inside the super-cold liquid oxygen, wanted to shoot to the top of the stage, similar to the way an inflated beach ball rises to the surface of a swimming pool, Musk said. Musk said less than nine-tenths of a second passed from the first indication of a problem until the data link between the rocket and mission control cut off. Telemetry logged from the June 28 launch showed a momentary drop in helium pressure, then a rise back to the system’s starting pressure, Musk said, initially puzzling investigators probing the mishap. One explanation for the data signature is that the tank broke free, introducing helium into the liquid oxygen tank until a kink in a feed line stopped the leak, allowing pressure in the helium system to rise again. 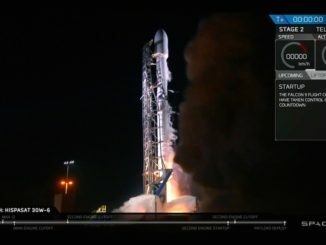 The failure occurred 2 minutes, 18 seconds after liftoff from Cape Canaveral, when the Falcon 9’s nine first stage Merlin engines were still firing, according to a SpaceX statement released Monday. Because the second stage was not ignited, the propellant tanks were full, leaving little room to add high-pressure gas before rupturing the stage. SpaceX engineers, who are working with NASA, the U.S. Air Force and the FAA in the investigation, have no other smoking gun on a source for last month’s failure. The evidence in the accelerometer data points to the helium tank support bracket. The strut came from a SpaceX supplier, which Musk refused to identify. He said the component, made mostly of steel, was about 2 feet long and an inch thick. “The strut that we believe failed was designed in material certified to handle 10,000 pounds of force, but actually failed at 2,000 pounds force, which is a five-fold difference,” Musk said in a conference call with reporters. Photos of the strut taken before the launch showed no obvious sign of a flaw, and Musk said thousands of the brackets have flown on previous Falcon 9 missions without a problem. He said follow-up tests of thousands of similar struts since last month’s crash revealed several units failed well below their 10,000 pounds force specification. The rocket’s first stage uses a similar pressurization system with the same type of tanks and support struts, according to Musk, who said the brackets will be pull-tested one-by-one before being installed on future launchers. The bracket suspected in the June 28 rocket failure would not have experienced the high loads it saw in flight during any of SpaceX’s standard pre-launch tests, eliminating any chance of detecting the problem before liftoff. Because the rocket was rapidly accelerating at the point of the failure, the helium canister would have rapidly risen inside the full liquid oxygen tank — faster than under normal “1 G” conditions on the ground. It was not clear whether the errant helium bottle struck the outer wall of the liquid oxygen tank. 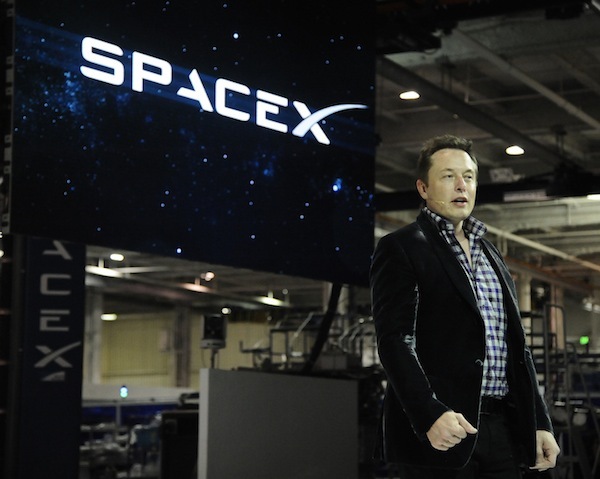 There is no way to test rocket stages on Earth to fully replicate flight conditions, Musk said. Despite the rocket’s dramatic high-altitude anomaly, which left the launcher in shards of wreckage raining down to Earth, the SpaceX-built Dragon cargo capsule fastened to the top of the Falcon 9 survived the failure. Musk said mission controllers received data from the unmanned supply ship, which was packed with more than 4,000 pounds of cargo for the International Space Station, until it passed over the horizon, just before its destructive impact downrange in the Atlantic Ocean. The capsule’s recovery parachutes, normally used to retrieve the spaceship after it departs the International Space Station, were not programmed to deploy after a launch mishap. SpaceX plans to install software on future cargo missions to allow the chutes to unfurl during a launch contingency, Musk said. “We could have saved Dragon if we had the right software,” Musk said. NASA officials say the value of the cargo lost on the June 28 failure was about $110 million. The equipment was uninsured. 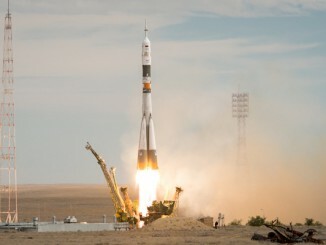 The supplies included a docking adapter needed for future human-rated spaceships in development by Boeing and SpaceX to end NASA’s sole reliance on Russian Soyuz ferry craft to rotate crews to and from the space station. A spacesuit, important parts for the space station’s water filtration system, and an array of experiments also crashed with the Dragon spacecraft. Musk said the next Falcon 9 launch will not occur before September, but SpaceX has not identified which payload in the rocket’s crammed manifest will go next. 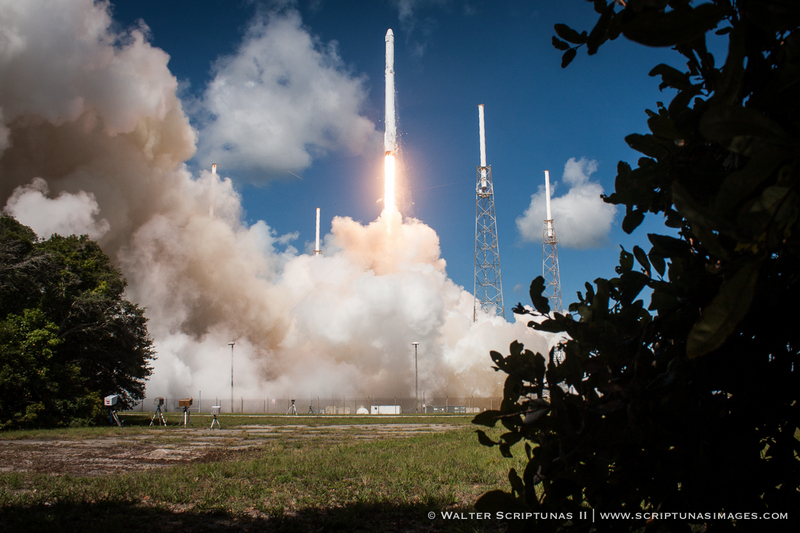 Before last month’s failure, Falcon 9 rockets were scheduled to launch in August with the U.S.-French Jason 3 oceanography satellite and the SES 9 communications craft. 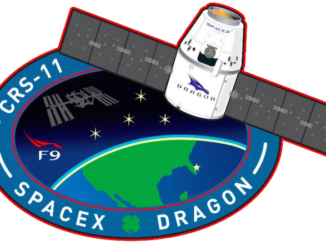 The next Dragon logistics flight to the space station — the eighth in a 15-mission, approximately $2 billion contract with NASA — was supposed to blast off in early September. SpaceX briefed customers on the tentative results of the failure investigation last week, and “none of them have indicated diminished faith” in the company, Musk said. But the inevitable delays will cost privately-held SpaceX, which says it has a backlog of up to $7 billion, including all its contract options. SpaceX and rival Arianespace win the lion’s share of commercial satellite launch business, and Musk’s company received permission in May to compete with United Launch Alliance, a joint venture between Boeing and Lockheed Martin, for U.S. military launch contracts. The additional testing prescribed to resolve the strut problem will increase the Falcon 9’s production cost, Musk said, but should not affect the rocket’s sales price. A Falcon 9 flight goes for approximately $61 million on the commercial market, according to information posted on SpaceX’s website. Musk admitted SpaceX may have become a “little bit complacent” after racking up more than 20 successful launches in a row, dating back to the company’s earlier Falcon 1 rocket model. SpaceX’s last total launch failure occurred in 2008, and the Falcon 9 itself was 18-for-18 going into the June 28 mission. Musk sends a company-wide email before every launch, soliciting feedback from engineers who may be afraid to speak up to their mid-level managers about their concerns.